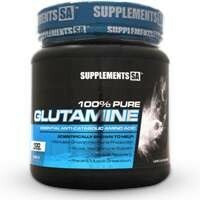 During periods of intense exercise, L-Glutamine levels can be depleted, which may limit protein synthesis. 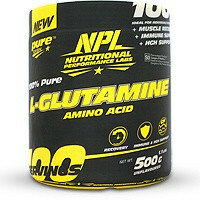 The body can lose up to 50% of it glutamine levels during training. 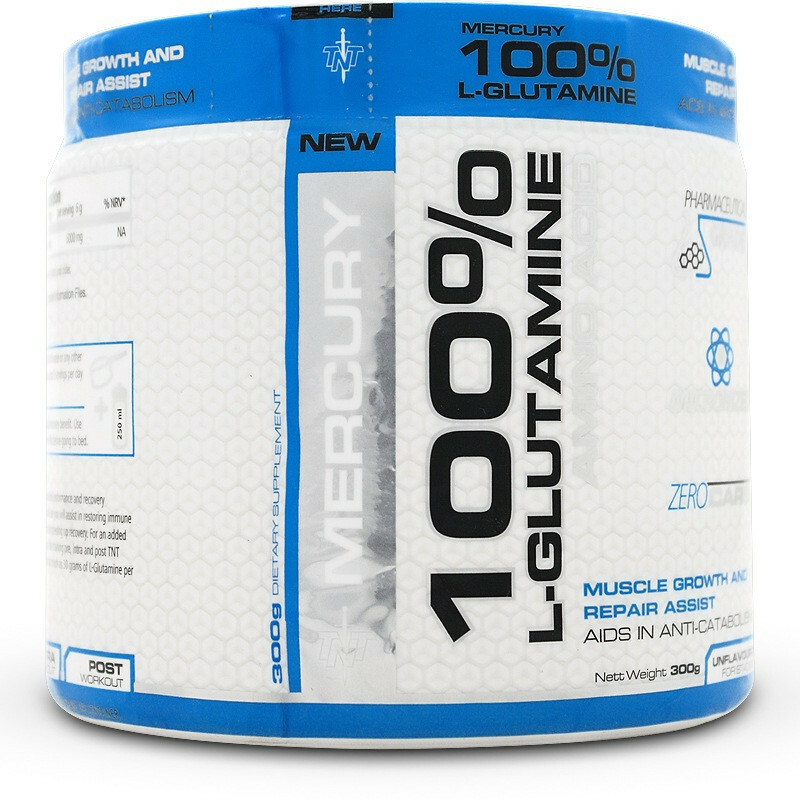 If your immune system, or other parts of your body, become glutamine deficient, then the glutamine stores in your muscles will be depleted first, creating the risk for catabolism. By ensuring we constantly replenish these valuable glutamine stores with TNT L-Glutamine, we greatly improve muscle recovery. 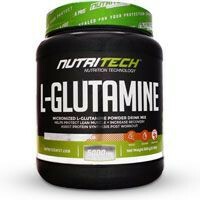 If you’re working hard in the gym your body requires sufficient recovery specific amino acids, like glutamine, to optimize each workout and reduce recovery time. Each time you lift weight, a large amount of stress is placed on the body. Unless something is done to help your body recover during training, fatigue will always hamper your progress. 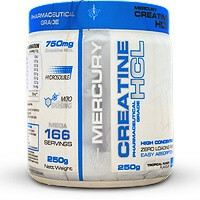 • Mix 1 servings (6 grams) in 250 ml water or any other favourite liquid and shake vigorously. 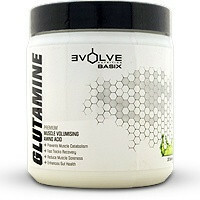 • Consume up to 3 servings per day during intense training. 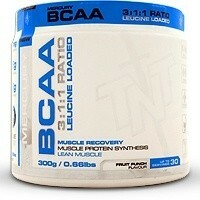 • Add to pre / intra or post training shake for added recovery benefit. • Use before, during or after training, or any other time like before going to bed. Not intended for use by persons under the age of 18. Do not exceed recommended dose. Get the consent of a licensed physician before using this product, especially if you are taking medication, have a medical condition, you are pregnant, nursing or thinking about becoming pregnant. KEEP THIS PRODUCT AND ALL SUPPLEMENTS OUT OF THE REACH OF CHILDREN.